Following the successful launch of the Chemistry Outreach Venture (OSDDChem) which had envisioned the development of a national online repository of small drug like molecules, CSIR-Open Source Drug Discovery (OSDD) is now venturing into building chemical libraries with diverse compounds for successful drug discovery programs. This aligns with the OSDD policy of ‘no molecule will be left behind’ and the assurance that the molecules submitted to OSDD will be taken up for screening against neglected tropical diseases like TB and malaria. Availability of compound libraries with diverse set of molecules forms a critical component of successful drug discovery programs. 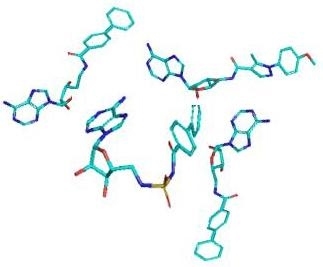 Diversity of chemical compounds used for screening increases the chances of identifying novel chemical scaffolds and thus lack of this has been recognized as a crucial factor for the poor success rates of Anti-infective drug discovery and development in the past years. While pharma companies invest in therapeutic areas, with larger revenues, infectious diseases particularly tropical infections like TB, malaria and leishmaniasis are neglected and the modern compound libraries often lack diverse molecule pool with potential antibacterial properties. OSDD aims to bridge this gap in drug discovery through a chemically diverse compound library, which could be used for screening various drug targets of discovery programmes of OSDD. Through this initiative OSDD researchers aim to discover novel drug leads from the currently unexplored vast chemical space employing high throughput methods. This Chemistry initiative aims at the synthesis, characterization, storage, dispensing and managing the chemically diverse compounds for screening against Mycobacterium tuberculosis and research under OSDD umbrella. The compounds can also serve, as probes for the chemical biology research, which will in turn help, solve the biologically relevant questions in tuberculosis. OSDD is planning to make the library available for screening against other diseases once a significant number has been built up. OSDD aims to make use of the vast and talented pool of chemists available across different CSIR laboratories to achieve this task of design and synthesize of novel compounds. Chemistry expertise available in different CSIR laboratories including CSIR-IICT, CSIR-NIIST, CSIR-NCL, CSIR-CLRI, CSIR-CDRI, CSIR-IIIM and CSIR-NEIST are collaborating with OSDD to achieve this purpose. The compound library is to be created using three important synthetic approaches namely- target-oriented synthesis, focused synthesis and diversity-oriented synthesis to generate novel compounds belonging to different classes. It is proposed that compounds generated under this programme will be received and stored in the dedicated space of MOL bank facility of CSIR-IICT. In order to ensure the purity and identity, CSIR-IICT will carry a quality control and well characterized compounds are to be registered and with unique accession codes. OSDD will also employ expert personals for management of samples, handling of data and appropriate distribution of plates/compounds for screening. All the compounds deposited under this initiative will be available for screening them against TB, malaria, filariasis, and leishmaniasis.